Take a break to breath deeply and exhale slowly, paying attention to the airflow. Go for a walk. It’s been shown to immediately boost people’s mood and make them feel more relaxed. Take a mini-vacation in your mind. Visualizing a favorite place, doing a favorite activity can do wonders. Reach out to friends. Chances are they can offer solutions to your dilemma. Take a small step toward a goal, and then give yourself a pat on the back. Repeat. 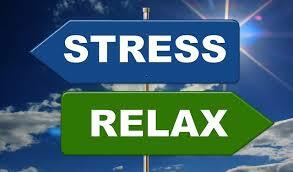 If stress is getting the best of you, NewBridge can help. Visit newbridge.org or call (888) 746-9333.